This web tool is pretty straightforward. After visiting the home page, click on the “Start the generator” button. You’ll be presented with a small pop-up tutorial to guide you through all the available options. How it basically works is you press a button using the top right corner and the app will give you a unique color palette. If you don’t like the colors you were given, you can generate a new set. Up to 5 colors can be generated at a time. 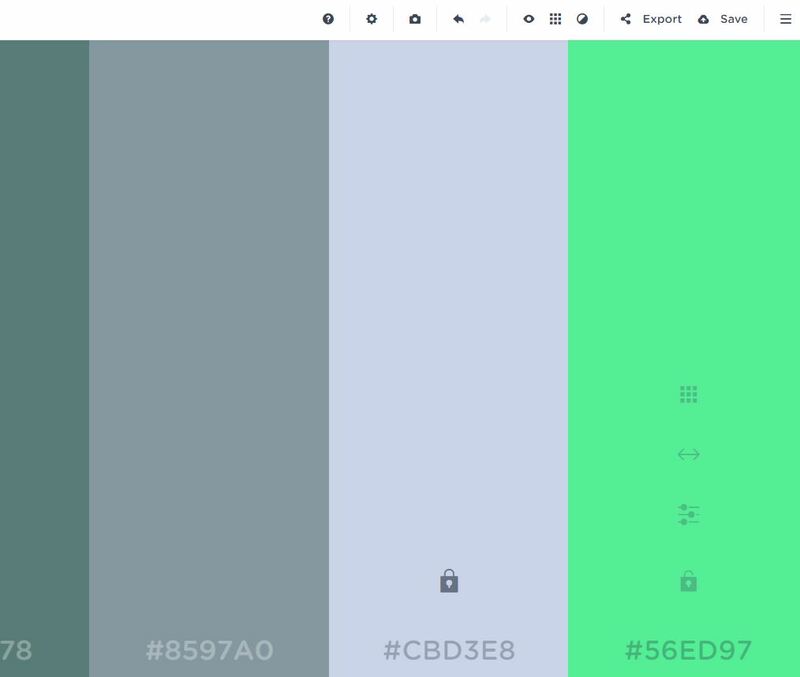 Give the tool a try and you’ll be creating color palettes in no time. They can be exported using all the more popular formats like PDF, PNG, SVG, etc.